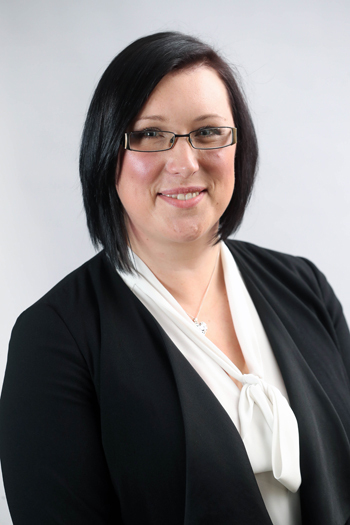 Fern Church is the Assistant Manager at SA Flyers, Wales’ leading print, design and Distribution Company. 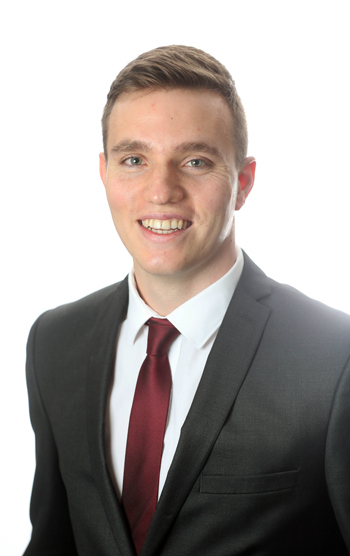 He is responsible for the day-to-day running of the company, managing all staff, introducing new systems and developing a corporate client portfolio. I have been fortunate enough to work for a lady, Gemma Richards, who is a very strong and pro-active leader and by learning from Gemma and her own experiences, I have been able to develop my own. It’s about taking advantage people who have already done things that I strive to accomplish and having a strong role model has helped considerably. I am also a firm believer in learning not only from my own mistakes, but those mistakes of others too. Learning what NOT to do is often times just as important if not more important than learning what TO do. What have been the main highlights and challenges since taking up your leadership role with SA Flyers? I began as an apprentice at SA Flyers and 3 months into my apprenticeship, the owner broke her leg and I took over the day-to-day running of the business literally overnight. I had to undergo a very fast learning curve and I believe this trust gave me the confidence to grow and develop in the role. Introducing new IT/Software systems that have contributed directly to SA Flyers’ expansion over the past 2 years. Taking over the running of corporate client accounts. Becoming Assistant Manager Aged 26. I learned that you can do anything if you put your mind to it and to believe in your abilities. Gemma put her trust in me, giving me the confidence to take a pro-active approach to my own and the business’s development. We are all living and working in uncertain times with Brexit picking up pace and a weakened Government in Whitehall. As leaders, we need to plan for the future despite this uncertainty, taking a business-as-usual approach or we will flounder in the face of hesitation. I admire Gemma Richards, learning so much from her by having first-hand experience working with her for over 5 years. Learning how she has grown multiple businesses while keeping staff happy and developing in their roles. It is the little things she does that makes a big difference. Trust – I believe that if you trust your team and give them freedom to make their own decisions and encourage their strengths then you will have a happy and hardworking staff. Likewise, a true leader will have trust from their staff and their clients to build positive and long lasting relationships. Roxanne Green is the Project Support Manager for ABCi (Aneurin Bevan Continuous Improvement, ABUHB) and has Project Management responsibility for three Improvement Collaboratives, specific service improvement projects and manages the project support staff within the department. My life experience, even though challenging, has fostered my ambition and resilience to succeed and be a good role model. Surviving and learning from each experience I am sincerely compassionate for others and take great pleasure from enabling others to achieve their goals. Experiencing loss at a young age strengthened my enthusiasm for life and reinforced my desire to make a difference. I believe that anything is achievable, especially when you work as a team. Being encouraged throughout my childhood to be proud, be different, be respectful and have manners, has shaped the person I have become. My life experience ultimately makes me want to always be the best I person I can be. What have been the main highlights and challenges since taking up your leadership role with Aneurin Bevan University Health Board? I find it very rewarding being part of a team that has significantly improved in its ethos, approach and togetherness. Knowing that my efforts in leading the team towards a structured way of working has been empowering for the staff that I manage and also motivational for other members of the team. Introducing structure and methodology to what has historically been a fluid and emergent working style within the department has been the largest challenge for me. Though it has been challenging to enthuse members of the team in significant periods of transition, I find bringing teams together the most rewarding. Introducing working practices that are consistent at all levels within the department to ensure communication takes place in the right place, the right format to the right people is paramount to the undertaking of any task. Delivering more with the same or less is an issue facing all sectors within Wales which subsequently leads to a changing environment. Maintaining consistent and strong leadership whilst managing change is paramount in ensuring teams attain objectives and work towards common goals. There are several leaders that I admire though the two that are most prominent for me are: Andrew Goodall, Director General of NHS Wales for his passion, determination and ability to enthuse and transform organisations and Julie Poole, Assistant General Manager at ABUHB for her commitment, determination and enthusiasm.